Anglicanism came to Western Pennsylvania in the same way that it came to many places around the world, on red coattails. 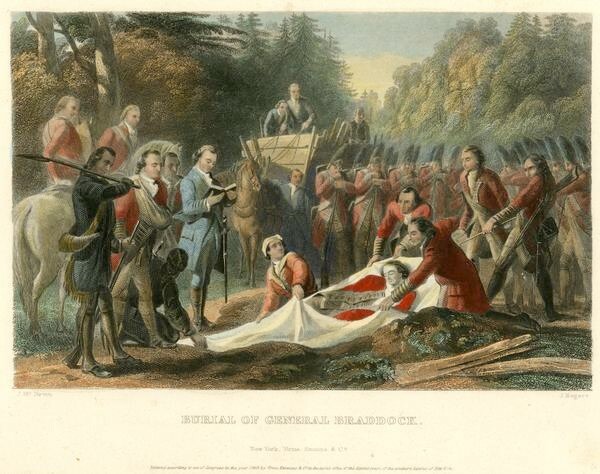 Perhaps the first Prayer Book service conducted in our diocese was the Burial Office read by no less than George Washington over the grave of General Edward Braddock after the British army’s defeat by the French in 1755. In 1758 the British would supplant the French and establish in our wilderness the English King’s garrison and firmly plant the English King’s church. Decades and Revolutions would change the world as Anglican congregations began to grow up among these hills and valleys but one thing would remain the same for these churches, they were wilderness churches served by circuit riding priests and deacons and nearly as isolated from their bishop in Philadelphia as they had been from their bishop in London. Calls for an episcopacy for the area west of the Alleghenies were issued as early as 1803, yet it was not until 1814 that any parish in the region was even admitted to the Diocese of Pennsylvania. For over fifty years repeated pleas for the appointment of a bishop for the west were met with excuses and stall tactics or just ignored by the church powers in the east. In the summer of 1825, the seventy-seven year-old Bishop William White made the arduous journey over the mountains for the first episcopal visitation of the western region. He performed generations’ worth of episcopal offices, confirming over 200 people and consecrating church buildings that had been in use for decades. From that point forward the Diocese of Pennsylvania promised at least yearly visitations to the west, and soon new parishes began to spring up and grow across the region. 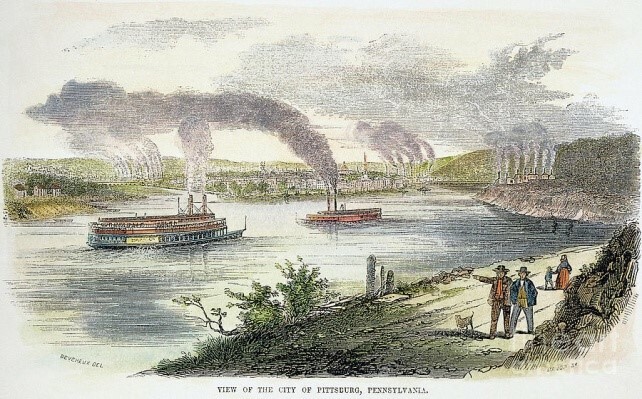 Yet as the city of Pittsburgh and the west began to grow, cultural division became a significant issue between the two halves of the Diocese of Pennsylvania. Eastern parishes had colonial roots, affluent and established memberships and were decidedly low-church, while in the west the parishes were newly planted, had diverse and often shifting memberships and high-church affinities. Still the Diocese of Pennsylvania delayed answering calls for a split, insisting the west was not sufficiently financially secure. Western parishes answered this charge with promises of large donations to fund a new diocese and it seemed that the division would occur in the late 1850’s, but the advent of the Civil War would add even more complication and delay. In 1864 the Diocese of Pennsylvania held its convention in Pittsburgh for the first and only time. While the division of the diocese was the chief issue before the convention, a final decision was tabled. By the next year the western parishes had achieved enough independence and raised enough money that no objection from the east could be raised, and Bishop William Stevens declared that a primary convention for the new diocese would convene on November 15, 1865. Bishop Stevens admonished the convention to set aside parties and politics and instead seek to form a peaceful and untied diocese reminding them, in the words of the recently assassinated President Lincoln that a “house divided against itself cannot stand.” The delegates took the message to heart choosing as their first bishop the man who had recently come to symbolize unity and reconciliation in the church, the Rev. John Barrett Kerfoot. The new diocese also, however, exerted its independence. 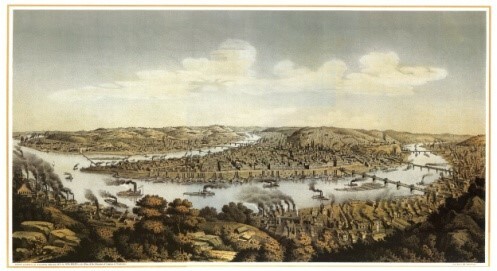 Over the “very grave objections” of Bishop Stevens the convention refused to be called the Diocese of Western Pennsylvania, but instead chose for its name the Diocese of Pittsburgh, on the basis that it was the “ancient custom of the church” to call the diocese after its chief city. It would be the first, but not the last time, that the new diocese would stand with the ancient church against modern innovations. Reviewing all the dispensations of God's Providence, I see that He has undoubtedly intended me for His service in a peculiar manner. It is His will, and I pray that I shall always make His will mine. In 1833, at age seventeen, he entered preparations for ordination. He so wished to “go to sleep a lay-boy and awake a clergy-man” that the Bishop of Pennsylvania acquiesced to a special diaconal ordination on the morning of Kerfoot’s twenty-first birthday. He was ordained priest three years later. His first intention, which the bishop denied, was to serve as a missionary in Persia. He was also invited to head-up the new seminary in Nashotah, Wisconsin, but declined. 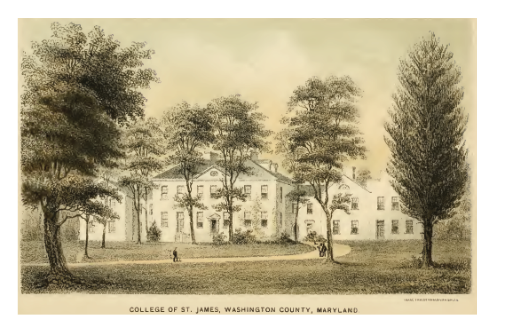 He eventually settled into an academic ministry as rector of St. James College in Hagerstown, Maryland. 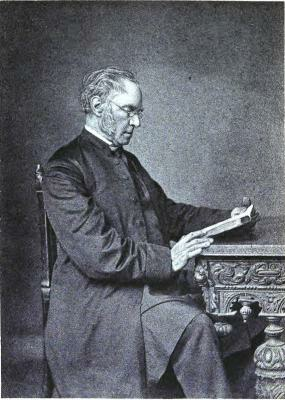 By 1860 the Rev. John Kerfoot was a respected pillar of the Hagerstown, community. 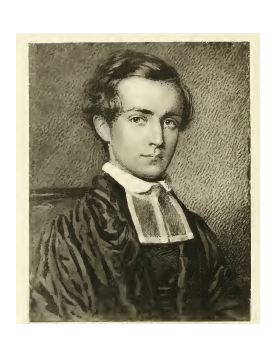 As rector of St. James College he was afforded the opportunity to shape the young men in his charge into diligent servants of Christ, a task which soon became his passion. Then came war. Kerfoot was an outspoken opponent of secession and slavery and he worked hard to keep Maryland in the Union. Yet, when the war came to his doorstep he consistently proved that his first duty was as a servant of Christ, always giving of his stores and ministry to aid the lost and wounded of both sides. From the spire of the college he watched the opening hours of the Battle of Antietam and then hurriedly gathered what supplies he could find and travelled to the front to care for the wounded and even conducted Evening Prayer on the field. About a year later Confederates retreating from Gettysburg raided the college and skirmished with Union cavalry just off the grounds. Kerfoot then made the college a hospital. Yet, his most harrowing episode came in 1864 when Confederates took control of St. James’. They made Kerfoot their prisoner and forced him to negotiate for the release of a captured southern clergyman. That year his beloved St. James’ was shuttered and in ruins. 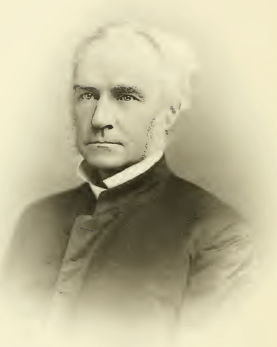 Kerfoot, broken-hearted, accepted the presidency of Trinity College in Connecticut. When the bishops of North Carolina and Arkansas showed up at General Convention in 1865 it caused quite a stir. The House of Bishops welcomed the men, but the House of Deputies erupted in controversy. As a slight to the southerners a resolution was put forward to officially render thanks to God for the “restablishment of the national authority over our whole country.” The press declared that those who had welcomed the men were secret southern sympathizers and dared the Convention to do so treasonous a thing as to refuse to pass the resolution before it. In the midst of this tumult a delegate of Connecticut rose to speak. Their were few in either house that had been as effected by the war as The Rev. John Kerfoot. His impassioned speech was never written down, but its import was remembered well by those present. He declared that while he agreed with the sentiments of the resolution he felt that such political rhetoric had no place in church affairs, that their business was doctrine, worship and the spread of the Gospel and nothing more. He asserted that the thanksgivings of the church should be for unity and peace and not for victory. After Kerfoot’s words reconcillation, not revenge, won the day and the offending resolution was defeated by a huge margin. When, at the same convention, a new diocese was created in Pittsburgh, the eloquent Kerfoot seemed an obvious choice for bishop.